Now that it’s been a month folding ourselves back into school, we feel the longer days of carefree adventure slowly fading away. 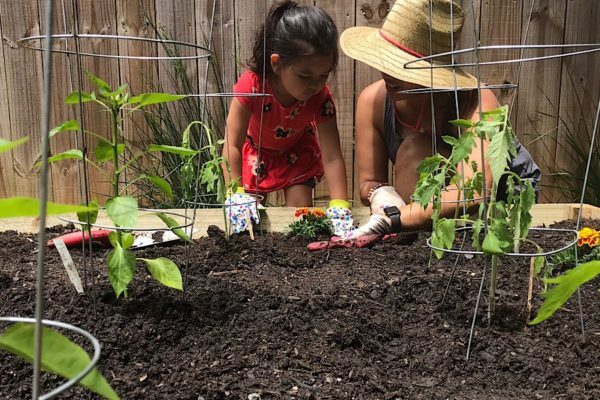 Sometimes it’s easy to slip into routine lazy afternoons and cuddle couch sessions–that’s why I thought I’d share some ways to merge outdoor mindfulness into our busy lives that anyone can do throughout the year and that we try to practice as much as we can as a family. Ride to or from school or both! 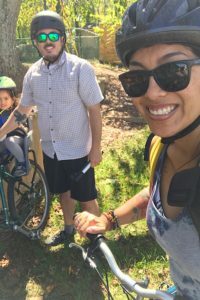 We’ve always lived pretty close to schools but even if you don’t you can still find out about riding the bus or riding your bike. Both ways allow for some outdoor time and exercise. Worried about your little one walking long distances? Take some breaks for a snack or do some trash pick up along the way. Now that we’ve done this so many times, our kids make it point to just pick it up when they see it–definitely not a bad habit to have. Recently we’ve started riding our bikes to or from school. While our new terrain is a bit hilly, we made a goal to ride up them a bit more each day, hopefully, making it to the top in glorious celebration at some point. No matter the terrain you face, starting the day with some fresh air never hurts. 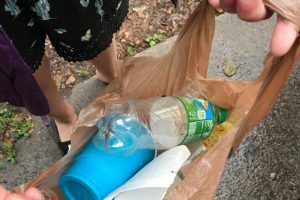 The kids make it a habit to pick up trash on their own. Homework and fresh air is a wonderful post-day combo. The first thing the kids do when they get home is stash their things away and start their homework before grabbing a quick snack. 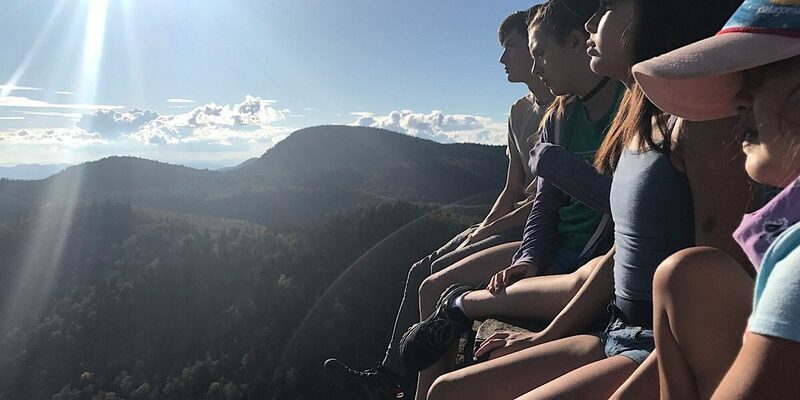 Depending on where you live and the age of your children, they may not get as much outdoor play–something as parents we are aware of which is why we try to suggest to them to just be outside (and probably the reason we have loved hiking during our free time so much). Encouraging them to do their homework outside is only allowing them to make the choice themselves if they ever feel like it. We don’t force it, rather just remind them of the option. They won’t always take the suggestion but at least they’ll think about it. We’ve even had friends come over and the automatic action is to do their homework together outside. Playing nature-centric games allow kids to take the outdoors in. Switch up the reading routine and opt for informative books that keep the kids engaged. We love reading and playing games together. Instead of playing the same game of UNO (which we could get into all. night. long), we switch it up by trying out games that are nature-focused. Wildcraft is one that’s gradually been adopted by the family as a fun co-operation game that we can all play. Learning to help one another at the same time as brushing up on our herb names has helped us identify plants when out hiking while strengthening our consideration for one another. 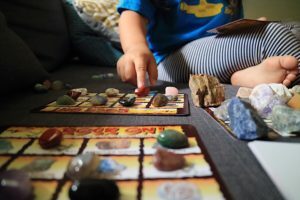 If your kid is into rocks like my youngest, then they might enjoy Rock On, a fun rock game we turn into geology bingo. 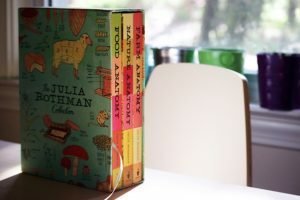 Reading stories with my 3-year-old can get distracting but sometimes we like to take out our Julia Rothman Collection and skim through different parts that she can pick out and learn about. Pointing out particular pieces of the books that she’s into is an activity that we can do as she gets older–these books are visually so beautiful to look at, as adults, I promise boredom will not take over. Switching an everyday book to a nature-centric book can transport a home-ridden, sick kid to an outdoor wonderland in seconds. Taking small moments in our day to breathe makes such a difference when we are faced with challenges. Taking a few moments of the day can be so calming. I’m not a meditation expert but meditating outdoors doesn’t take a lot of energy to do. Sometimes listening to a small meditation in the mornings or even at any point in our busy schedule reminds us to be present. We like listening to guided meditations through apps like Breathe or Meditation. 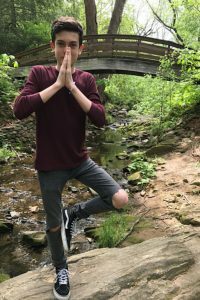 This simple nature meditation practice from Mark Coleman and Children & Nature Network is one we didn’t even realize we were doing already. 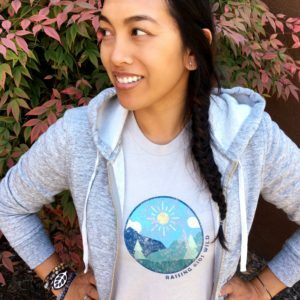 We also use these ideas on meditating on the trail that could apply from anywhere. We try to make eating outside an every season thing. 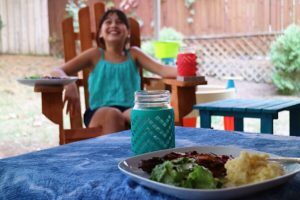 Now that Fall is here, there’s still some remnants of the warmer evenings and dining on the patio is just the thing you need when you’ve got homework, papers to fill out, and multiple kids to do it for. The grill is our best friend on days we are just too busy to make a well-thought-out meal indoors. Grab some hot dogs or ribs, throw them on, play some favorite tunes, and the nostalgia of Summer is back. If you don’t have a patio, grab a blanket and eat your food picnic style on the grass. If you’re eating out, ask the waiter to save the outdoor seating. Some people would rather eat inside so their loss is definitely your gain! 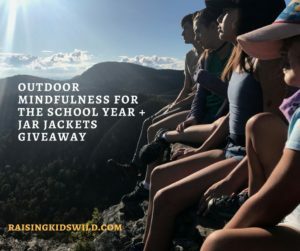 As special thanks for taking the time to read this post and being open to practicing outdoor mindfulness as a family, we’ve teamed up with Jar Jackets to give away a unique outdoor eating essential. I can’t count how many times we’ve wanted to use our mason jars outdoors or on picnics but declined to because–glass. Not to say on a whim we haven’t brought them anyway, but what I love about Jar Jackets is how easy they are to slip over your 16 oz. mason jar, are microwave, freezer, and dishwasher safe, and they encourage us to use them in place of plastic, a goal we always seek to reach as a large family of 6. They can be used for various food packing and gives those muddy, sticky digits a bit more grip so staying hydrated is easy pease-y. Good luck to all and can’t wait to hear about more ideas on how you practice outdoor mindfulness. 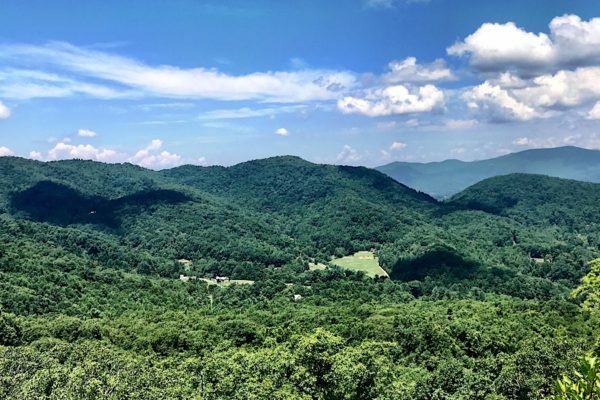 Asheville Outdoor Families Nature Event: View the Solar Eclipse! These are some great ideas – simple yet effective, which is what r all need when it gets busy. 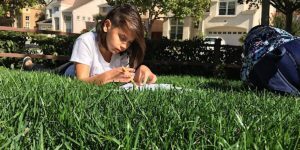 We’re already doing some of them but I love the lawn homework and games/books ideas! We also need to eat outside more! Thank you for this and for the giveaway! WE LOVE MASON JARS!! Thanks! Every little bit we can do to throughout the year is important. We take the time to listen to the wind in the trees and notice the small things (acorns that have fallen, bugs, cool shaped rocks). Slowing down is our favorite form of mindfulness but we love yoga too! Ah, yes. We do yoga sometimes too. I love your thoughts on slowing down. It’s so easy to get lost in mileage when hiking but we like to stop and take in nature at the same time–especially with Poppy because at her age, it’s all about details and observation. My preschool-aged daughter and I sit outside every evening, just relaxing and listening to the sounds around us. Sounds lovely. The first things we hear when we wake up during morning cuddles are the birds and wind. The great outdoors is our natural element. 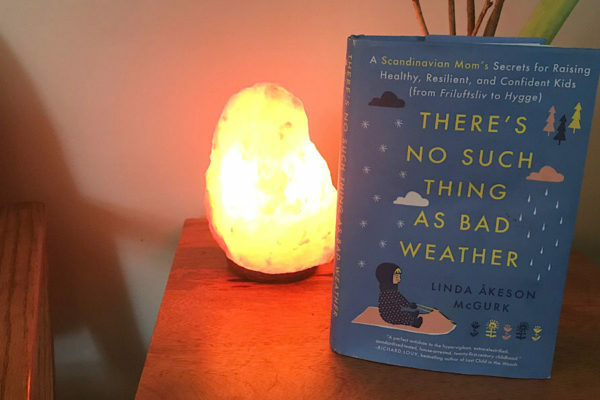 Being cooped up indoors is a by-product of being dependent on things rather than our own wits. Us too. Any way we can incorporate nature into our daily schedules is what keeps us centered throughout the year. We go to our local nature park after school or in our own back yard to connect to nature everyday. We eat outside every day nature let’s us.